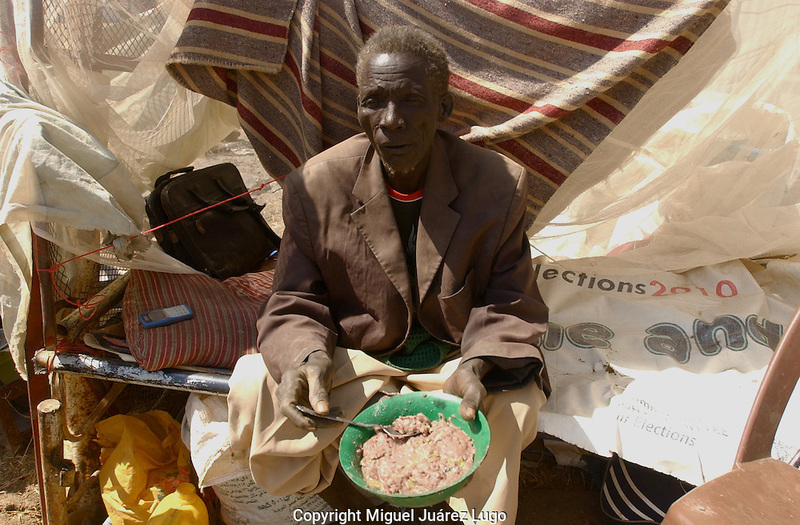 83 year old, Jok Tel, eats porridge, made of ocra and american donated sorghum, in the middle of a 110 F heat. He arrived to Malakal together with 9 members of his family and hopes to get into their village of Maiwot after a long dusty trip from Khartoum. (PHOTO: MIGUEL JUAREZ LUGO).